We had Christmas at my parent’s house today as they were at my brother’s in Alabama for the actual day. I have long wanted to read the Lord of the Rings trilogy and that is now a possibility. 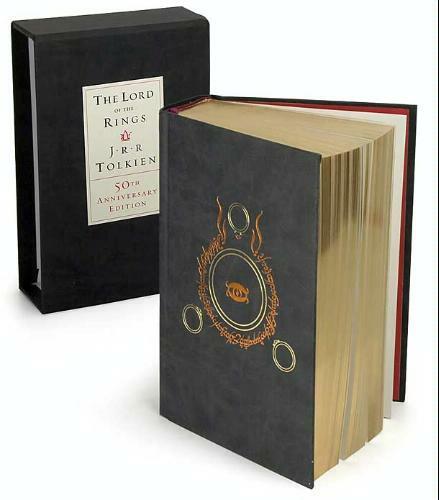 My brother and Dad went in together and got me the 50th Anniversary edition Lord of the Rings. Wow! What an amazing book. I estimate it takes me a year or two to get through the 1100 plus pages of this monster. Though I didn’t read the books, but I really enjoy watching the Trilogy of LOTR movies. Even some of my friends told me that the books are little bit different from the movies version, but I really like the movies. And I will read that book version in the future coz for me it’s more enjoyable to watch what you already read. I read the entire trilogy every year, along with The Hobbit. It’s excellent. Usually takes me most of the year because I get busy doing other things, I’m hoping to read through it much faster this year then I have in previous years. Man! What a beautiful gift, Chris! Something to treasure. Right now I’m working my way through George MacDonald’s works. I thought he’d be a good one to read as he was Tolkien’s and Lewis’ inspiration (among others). Happy reading! WOW! Thanks for commenting everyone. I am working on getting a copy of The Hobbit and The Silmarillion. I think I will read the Hobbit first, then LOTR. I don;t want to drop everything and read just these, so at two pages a day, I should be done with the entire lot in about 3 years! well, I finished! What an amazing story!